This devotional, from Rick Warren, will guide readers to a deeper understanding of their purpose. Capturing the hearts of the new generation means ensuring they know their purpose and grow up confident of their value in God and their relationship to Christ. The Purpose Driven Life Devotional for Kids by Rick Warren was published by Zondervan in October 2015 and is our 13367th best seller. The ISBN for The Purpose Driven Life Devotional for Kids is 9780310750468. 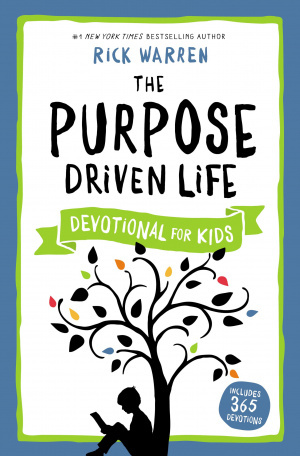 Be the first to review The Purpose Driven Life Devotional for Kids! Got a question? No problem! Just click here to ask us about The Purpose Driven Life Devotional for Kids.